Massimo Imperatore on guitar and effects, Umberto Lepore on double bass, objects and bells, and drummer Marco Castaldo is the sum of Sadhana, a Neapolitan trio that takes you on a journey through the conventional and challenging sounds of jazz. Always musical, logical but most importantly musical. Compris ed of two emotive tracks, that are structured as suites, alternating between melodic improvisation with abstract sound; the conversions between sections are seamless and create a relationship between melody and controlled chaos shared, and ultimately mutually joined. The opening tracks is nearly thirty-six-minute-long, and engages the listener with crystalline guitar notes, that are folded into with the double bass in a unison line, that develops with a hueing of a calypso-like harmonic progression, anchored by free-improvisational drumming and an active bassline, that at times eludes to sheer bedlam but never falls from the ledge. The piece progresses into a varied palette of crunchy drumming, supplemented by what sounds to be a volume pedal or control. And then progressively heading back to melody, through various several cycles of travel. The much shorter second track begins in the exact opposite way beginning with more of a melody approach, then developing into explorations of pitch. Each of the pieces is uniquely its own journey. Filled with illuminating textures and at times envelope pushing sounds. Each individual track maintains its unmistakable sound, and its supporting characters of guitar, double bass and drums, create and evocative, at times soothing, at times challenging array of emotions while still maintain a firm supporting presence. A satisfying offering for the listener that requires adventure. 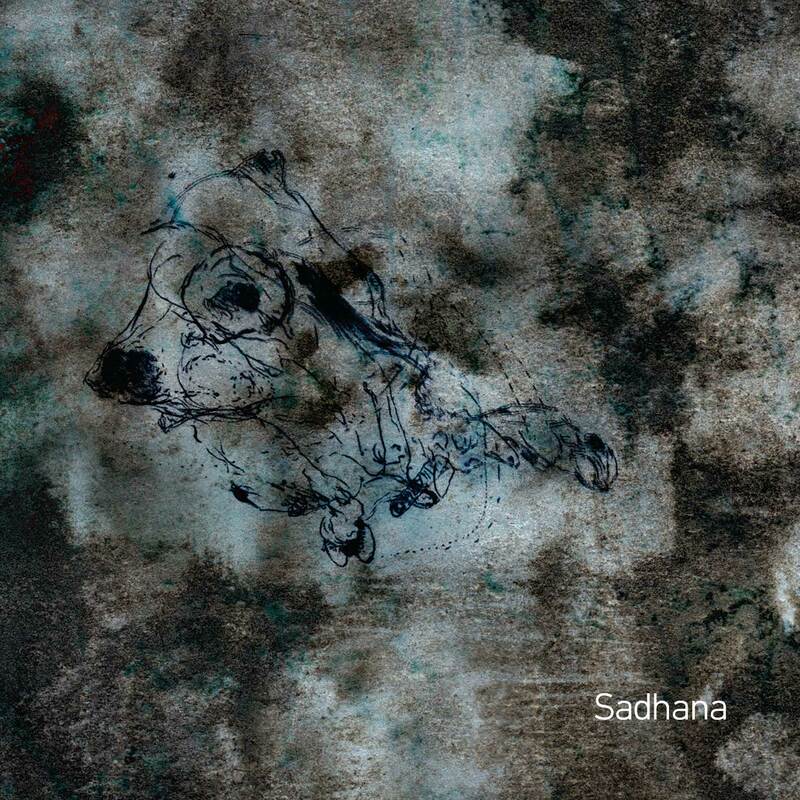 Be the first to comment on "Sadhana | Sadhana"